Where to go sea kayaking in New Zealand. There’s a pretty common rule in New Zealand that where there’s a coastal town, there’s kayaking. Kiwis love to get out on the water and kayaking is an awesome way to do it! There’s nothing like the feeling of working for those stunning coastal views of pristine beaches, rugged cliffs, island and marine wildlife. With more than 15,000km of coastline in New Zealand, you bet there is a lot of sea kayaking to be done here. Nevertheless, we’ll make the decision of picking a kayaking location easier by listing these stunning spots for sea kayaking in New Zealand! All kayaking tours in New Zealand include a quick introductory lesson for kayaking, which is great if you have never paddled before. Otherwise, there are often options to hire a kayak and explore at your own leisure. 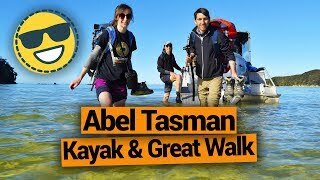 The most popular activity in the Abel Tasman National Park (well, maybe apart from the Abel Tasman Great Walk) is sea kayaking. This national park is all about the coast with its pristine golden sand beaches backed by regenerating native forest. With lots of hut accommodation along the coast, it’s a great location to do a multi-day kayaking adventure. Otherwise, there are plenty of day options with water taxis taking you to the best kayaking spots. Kayaking trips depart from Motueka, Kerikeri and Golden Bay. Check out The Sea Kayaking Company and Wilsons to get you started. Plus, don’t miss these 10 Amazing Things to Do in the Abel Tasman National Park. Milford Sound was already on your New Zealand bucket list, right? One of the awesome ways to experience the towering fiord mountains and obscene amount of waterfalls is by a kayak tour. Nothing else will make you feel smaller in this grand landscape. Book your kayak tour with Roscoe’s Milford Kayaks or Southern Discoveries. Plus, don’t miss these 5 Milford Sound Must-Dos. Sea kayaking with a difference: the kayaks available to hire at Leigh’s Goat Island Marine Reserve are completely clear so you can see the underwater wildlife. Marine life is thriving in this reserve where fishing and disturbing the marine life is prohibited so it’s a great way to see what lies beneath without getting wet! Clearyaks can be rented from the Goat Island Marine Reserve or tours and transfers from Auckland are available. Find out more about Goat Island in our 5 Fun Things to Do at Goat Island Marine Reserve. A paddle in the Queen Charlotte Sound in Picton is usually full of surprises, whether it’s the marine wildlife spotted or the stunning wilderness areas to enjoy within an hour’s paddle of Picton. Either take a tour from the Picton Harbour or hire a kayak from one of the many Queen Charlotte Sound Resorts and see what you discover! Get some inspiration at 10 Awesome Activities in the Marlborough Sounds. In a bay named after the fact that it has 144 islands, you know there’s plenty to explore by kayak! However, one of the more unique kayaking experiences you can have is at night. Check out the bio-luminescent algae creating little sparkles in the water with the stroke of your paddle on The Rock Adventure Cruise. Check out more 7 Water Activities in the Bay of Islands. 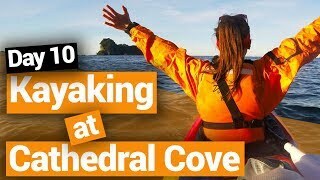 With vibrant turquoise water, white coastal cliffs, arches and caves, Cathedral Cove is a fantastic location for sea kayaking in New Zealand. Double up with a mate and see the Coromandel’s most popular beach by sea kayak. And try out these other 15 Coromandel Must-Dos while you’re at it. Either kayak to the island sanctuary of Whale Island full of native birds or in the unique ecosystem of the Ohiwa Harbour. Whatever you choose, there are plenty of opportunities to marvel at wildlife and see beautiful coastline in the Whakatane area. Whakatane is a town in the Bay of Plenty region. The sheltered waters of the Akaroa Harbour are ideal for a kayaking tour or freedom kayak hire. See the awesome scenery of this harbour formed in the crater of an ancient volcano and watch out for Hector’s dolphins and little blue penguins which are abundant in the area. Book your Akaora guided kayak tour here. 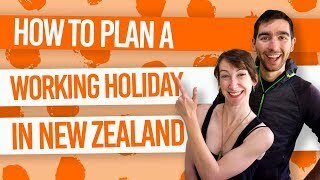 Plus, don’t miss more things to do listed in Akaroa – Guide for Backpackers. Of the shores of Auckland is the body of water known as the Hauraki Gulf, dotted with volcanic islands. Check out Rangitoto Island and its lava fields on a sunset kayaking tour with Auckland Sea Kayaks, or get yourself to one of the 10 Islands to Kayak to From Auckland. Plus, don’t miss these 10 Auckland Must-Dos. And last but certainly not least is the pristine natural wilderness of Doubtful Sound. 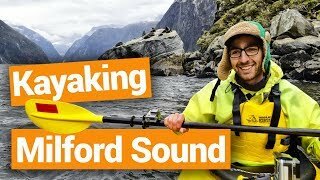 This fiord in the Fiordland National Park offers an awesome alternative to kayaking in Milford Sound if you have more time. The fiord has less boat traffic and there are options for multi-day trips. 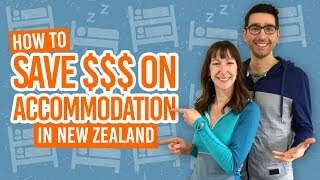 It’s definitely one to add to the Fiordland must-do list!